Recently I got a packet of thank you letters from a third grade class that I had visited to educate them about bees. One letter really got me to thinking. The girl asked me what had inspired me to be a beekeeper. The word “inspire” was the key word that made me go back to my first days of beekeeping. A swarm of bees had set up a colony in our barn wall and had actually chewed through the fiberboard inner wall when they need more space. We were fascinated enough to make a window to see them. We kept it covered with a piece of cardboard. When friends came over we would take the cardboard off and show off our unique observation hive. One day the bees swarmed out of the wall and flew down to a tree branch over the row of mailboxes. A neighbor saw them and called a beekeeper to take them away. I was out pulling weeds when I spotted the beekeeper standing on the back of his pickup truck rescuing the bees. I went down to tell him where I thought the bees probably came from. It was fun to show him our barn wall hive. He realized he was talking to a potential beekeeper. He proceeded to tell me how I could have the swarm if I went to the Farm Supply store, bought the hive box with a top and bottom. He also told me to join the Sonoma County Beekeepers’ Club the next Tuesday night after I got the bees. Kellie Cox showing the South Cluster how to evaluate combs for a split. East Cluster hive dive demonstrating hive inspection. Note these hives are painted according to the advice of Serge Labesque. He says the corners need protection but the other wood needs to breathe. I have to say looking back at that encounter I realize what inspired me to be a beekeeper was meeting all those beekeepers and becoming friends with them right away. I was no longer just a lady with a box of bees on her farm. Those beekeepers adopted me like a long-lost child. They mentored me sharing their collective wisdom of the fine art of beekeeping. The meetings were extremely helpful especially the question and answer part. I always had questions and often got more than one answer as you can imagine. There also was a library at each meeting so I could borrow books. Some of those beekeepers came over to my farm to give me hands on help. I was totally impressed with the kindness of so many beekeepers. All of this happened 27 years ago when there were not more than about 30 members of the club. Now it is no longer a little club but a 450-member beekeepers’ association with 501c3 status. Amazingly it has been able to retain the same caring and sharing atmosphere that first inspired me. As the group grew some members became over burdened trying to mentor way more new beekeepers than they actually had time for. 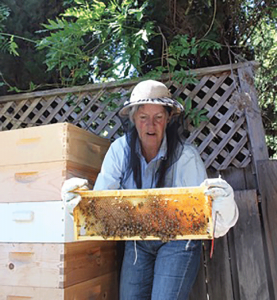 Just about this time Thea Vierling, a fairly new beekeeper herself, came up with the idea of breaking the county up into what she called clusters. She knew the bees form clusters in the winter to survive the cold. The concept of all helping each other, as the bees do was exactly what she hoped would happen. She soon enlisted the help of Christine Kurtz, another very enthusiastic beekeeper. Together they mapped out a plan describing what a cluster should do to help each other and what the duties of the cluster leaders should be. The board immediately approved forming clusters. The county is very large, 1,768 square miles with two rivers, two mountain ranges, and four valleys and has several microclimate zones. 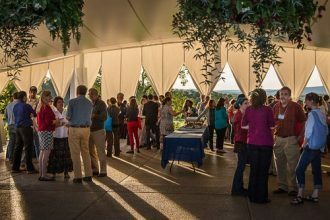 Breaking the county into five clusters North, South, East, West and Central made it easier for members to get together. Each had a trained cluster leader that was in charge of getting beekeepers together at least once a month at someone’s apiary. They had two kinds of meetings. 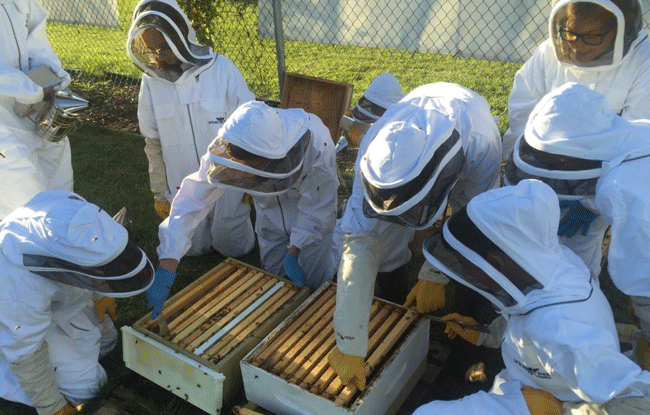 One was called a “hive dive” where the members were told to bring bee suits to do a hive inspection with active hives. 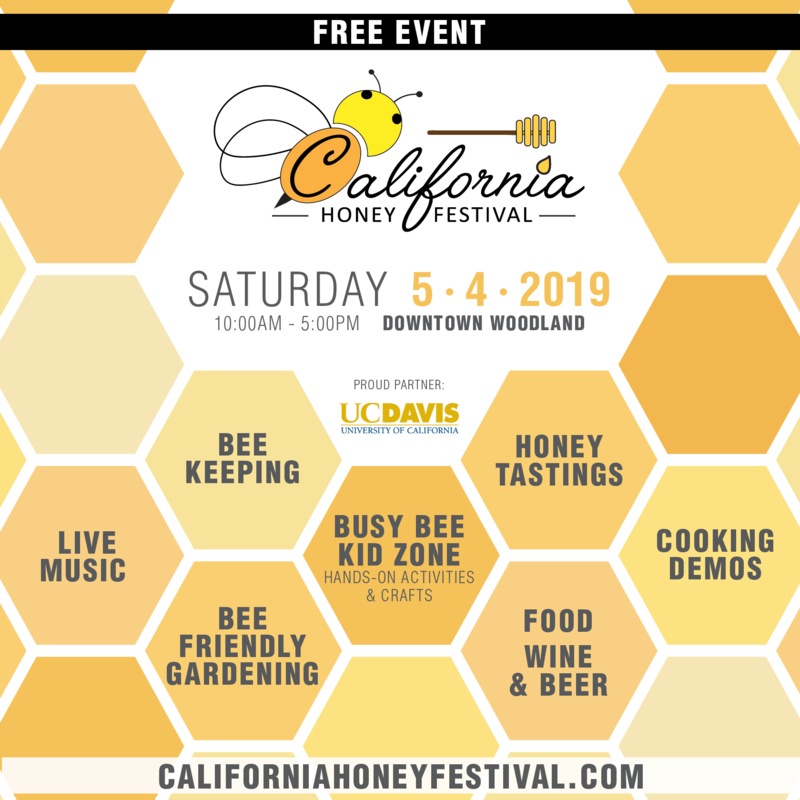 The other meetings were called “bee cafes” where the members would gather just to chat about bees, usually with a chosen theme such as preparing for Winter. At first each cluster had just one leader. Now beekeepers are pairing up to share the leadership roles. At the cluster meetings the leaders have matched experienced beekeepers with new ones. These are called “bee buddies.” Having bee buddies has relieved the cluster leaders of having to mentor all the new beekeepers. Now a sixth and seventh cluster have been added. One was for top bar and alternative hives and the other was formed for gardening. These last two clusters have members from all parts of the county. Clusters meet on weekends during the day. 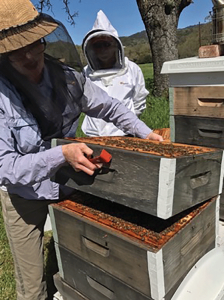 The Sonoma County Beekeepers Association has a large general meeting on the second Monday night of each month except for July. The first hour of the general meeting the cluster leaders have tables around the meeting hall so people can come to their cluster leaders to visit. This is especially good for new members that have not found their neighboring beekeepers. West Chester creatively painting new hive boxes. Chris Conrad demonstrating use of Association’s electric extractor at Cluster meeting. More improvements have been made in the cluster concept. One is the training and material sharing the cluster leaders are getting from the regional coordinators and experts in the association such as Serge Labesque who also teaches beekeeping courses at the junior college in the Spring and Fall. Power point presentations and hands on demonstrations are taught to the cluster leaders that can then share the information at the bee cafes and hive dives. The association has provided the clusters with small projectors and a screen. Each month’s topics are useful to the time of year. Another improvement is the bee-sharing program in each cluster. Cluster members that have caught more swarms than they want share with members who need colonies. Also at some hive dives beekeepers with very strong hives make splits to share with needy cluster members. Making these splits at the hive dives teaches how to make splits. Bee sharing among cluster members insures that their bees are local and well adapted to the microclimate. Each cluster now also has a special Face Book page that members can post pictures, ask questions or give advice any time. Sometimes it is a shout out for help to move a hive or ask someone to come look at a puzzling situation. Even mentors need help from time to time. Posting pictures has also helped analyzing situations. 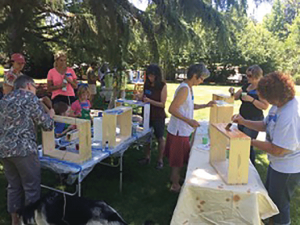 Knowing each other better proved valuable in our recent major fire that was written about in the December 2017 edition of Bee Culture. Word quickly got around as to who lost an apiary and/or home and property. Beekeepers went to work right away helping in any way they could. Materials and bee colonies will be shared with the unfortunate members as soon as they are ready for them. 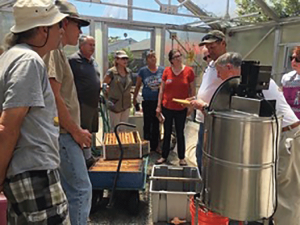 Beekeeping organizations can inspire and nurture their members using this cluster concept. The friendships that are created in them are long lasting. Having a friendly support system often makes the difference between continuing to keep bees even after ones colonies fail to make it through the Winter. It makes a large organization into one that makes time to care for each member. Next articleCATCH THE BUZZ – Arab Beekeeping to Host Maiden International Conference in Abu Dhabi.